Considered the last reserve of the most important biosphere in Central America and a world heritage site, the Darién jungle is under threat, due to an activity that grows, despite regulations and local and international restrictions: logging. In the joint project of ‘La Prensa’ and the Pulitzer Center, learn the details of this reality. There is a land in the center of the world that, they say, remains in the wild. A closed and cursed forest, inhabited by ancestral peoples and crossed by all kinds of violence, from the narco to the paramilitaries, from the trafficking of people to the advance of settlers and logging entrepreneurs, which put in check the Darién, the most important biosphere reserve of Central America and world heritage. It is the only place in the whole continent where the Pan-American Highway is interrupted to be, in essence, land without law. Like a distant west of the 21st century, a tropical Siberia, the myth of the wild Darién is built since ancient times. This construction is so widespread and rooted in the global collective imagination and also of Panama, which keeps one of the last lungs of the planet in illegality, prisoner of a process of chilling deforestation, led by invaders and loggers. In the last 15 years, the deforestation of Darién is growing disproportionately. The trees are demolished, the wood is sold and the land is burned to give space to agricultural activity. What is known as progress. Following this logic, the forest has no value. A forest without intervention produces zero economic growth. Once its destruction begins, economic activity begins and the indexes increase and become good news. 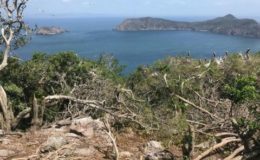 For the Panamanian State, deforestation is an improvement of the land. If a farmer wants to title a forest he can not, but if he chops it down, the State assumes that he made improvements in the land and then tittles it for a few dollars. The felling is rewarded. And legislation is passed to promote agro-industry and livestock. To this situation we must add the vulnerability of indigenous peoples, pressured by different forces that keep them in poverty. In the absence of the State, the loggers end up being those who come to the communities with resources. And wood, sooner or later, is the capital of change. For many indigenous people too. Two facts changed the context and deepened the problem: in the year 2000 the Government of China published a ranking of precious woods, an international standard on rosewood, the most required wood for its luxury furniture market. There are 33 types in the world, mostly in Asia and Africa. Seven of these species are of high value. One of them is mostly in Darién. It is the cocobolo (Dalbergia retusa). In Panama, it is quoted at 4 thousand dollars per cubic meter. And that same wood placed in China, quadruples its value. 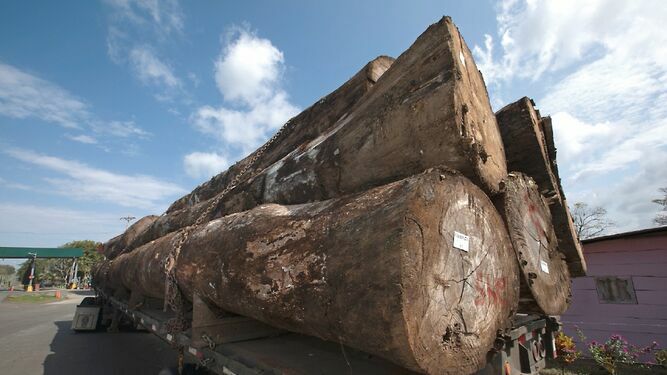 After years of declaring it as protected wood, in 2013 Panama succumbed to the loggers’ lobby, approving the export of cocobolo, “as long as they are naturally fallen trees” added to the norm, prohibiting the felling of a protected species. What came next was a tsunami made of saws and bulldozers that threatens to deepen as a result of the commercial approach between Panama and China and the secret agreements signed by President Varela with his Chinese counterpart Xi Jinping. They are immense trees that cross the country from end to end, giant trucks that transit the national routes, pass police, customs controls, arrive in containers at the ports of the Panama Canal and from there they embark to China without anyone here to see them. Such is the situation that in 2015 the Government reported that 90% of the wood that leaves Darién is of illegal origin. The chain of complicity that allows the looting of Darien is so deep that the Interpol office in Panama decided to take action on the matter, alerted from China by the arrival at its ports of containers that did not respect the protocols of the Convention on Trade. 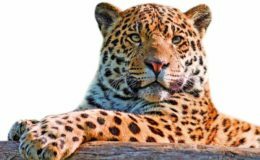 International of Endangered Species of Wild Fauna and Flora -Cites, in English-. They led several operations that ended with the capture of 13 cocobolo containers en route to Hong Kong. “We have seen examples in the region of groups of drug traffickers who moved to the wood business,” said Andrea Brusco, of the United Nations, in 2017, comparing the problem with international drug trafficking. Climate change? It is not a concern for the Ministry of Environment of Panama. Its minister, Emilio Sempris, defends what he calls “exploitation” of the forest: he authorized more than 142 thousand hectares for the extraction of wood between East Panama and Darien. Against all odds, it promotes “sustainable” logging in protected areas. While the Government of Panama is still considering whether or not to open the Darién plug, the opening begins to occur in fact. Around these disputes over the territory are generated legal gaps that are used by speculators to title land, to generate projects on the edge of illegality or both. As it happened with the oil palm farm of Boca de Cupe. The Canal de Vida Foundation, allied to the Palmares de Cupe company, came to the communities with the word of God. Their leaders, the Colombian husbands Carlos Mantilla and Nancy Acosta, and the evangelical pastor Narciso Arboleda, arrived with the Bible in one hand and the palm in the other. In fact, progress was made with the highway and with the production in 50 hectares of palm that, being located in the Alto Darién Protected Forest – just 5 km from the national park -, the Ministry of Environment ordered to stop. A company allied to the foundation would provide them with seeds and seedlings: Agriculture and Services of Panama (Agse Panamá, SA), owned by other Colombians, the Francisco brothers and Diego Hurtado. These entrepreneurs managed to build a conglomerate of societies that monopolize land in the Darién: between 2007 and 2009 they managed to title 30 farms, which add about 2 thousand hectares, in the corregimiento of Pinogana, through microtitulaciones of poor farmers, that after obtaining State ownership was transferred to their companies. The red dots show the deforested sites. The court ruled that the Hurtado brothers are responsible for the destruction of the Matusagaratí lagoon, for which they were sentenced in June 2017 by the Second Superior Criminal Court to 32 months in prison and one year of disqualification from exercising public functions. for crimes against the environment. The strange thing is that five months after the conviction, they were still collecting money from the Ministry of Agricultural Development, as happened with the payment of 24 thousand dollars to Procesadora La Piñuela in November of 2017. The fact does not stop calling attention: state land that passes into private hands by coins, which are then ceded to a company that, using that land as a backup, gets millions from a public entity. The chain of happiness. The exploitation of the territory is a State policy. The National Assembly enacted a law a year ago to promote the planting of oil palm in the province of Chiriqui. President Varela returned it with changes: he asked to promote the palm throughout the country. On the day that the Assembly appointed its Environment Commission, environmental prosecutor Thalía Palacios did not know whether to laugh or cry. They appointed the deputy of the Democratic Revolutionary Party for Chepo, Alfredo Pérez, as president. Laughing, the prosecutor said he could not believe that he was appointed just to him to legislate on the environment: he had been charged with environmental crimes, to the point that he had managed to lift the electoral criminal jurisdiction to be able to continue with the investigations. This research is the result of a joint project between La Prensa and the Pulitzer Center, which finances it.